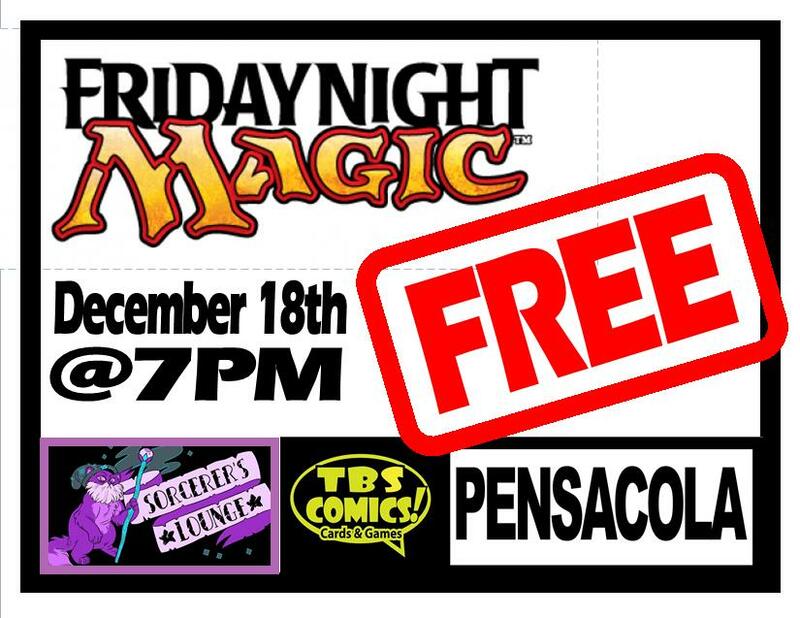 FREE FNM this Week @ TBS PCOLA / Sorcerer’s Lounge Kick-Off Celebration! You are here: / Card Games / FREE FNM this Week @ TBS PCOLA / Sorcerer’s Lounge Kick-Off Celebration! in addition to regular prize out Sorcerer’s Lounge is giving away a Blood Crypt Expedition to first place! come welcome the Sorcerer’s Lounge team.